I love my job and I enjoy my work immensely. It gives me a strong sense of purpose and fills me with great satisfaction. But I do love my weekends, too (as I’m sure do you). I don’t really get those notorious Monday Morning Blues, there’s just not time for that. My work week always begins in a such a frantic frenzy of teacher to-do’s, I have no time to pine for anything. However, I do have my moments of Sunday Night Sadness as I bid farewell to the long-anticipated weekend. Weekends go by so quickly and downtime is so fleeting, it can be hard to let go of those golden moments of me-time. I know you understand, it happens to all of us, no matter our vocation. Diligently, we work our way through the weekdays, while secretly watching the clock tick-tock its way toward that glorious moment of release that officially marks the end of another work week. Even when the weekends are packed with chores and obligations, the mere fact that we are granted the freedom to set our individual schedules and move at our own personal pace for two, whole days seems like such a precious privilege. Lately, many of my beloved weekends have been working weekends. Too many of those can make a girl a little grumpy, you know? After months of enduring the never-ending summer and seriously longing for some trail time, I have been looking forward to spending all my weekend time as a proper nature-lover should…playing outdoors. It hasn’t quite been working out that way, but that’s okay. I’ve managed to squeeze in just enough of those golden moments of me-time to keep the grumps at bay. A couple of weeks have already come and gone since that weekend Evan and I had the pleasure of hiking this particular trail together, but I am still feeling the affects of that beautiful encounter with Mama Nature. We planned to hike up the Bishop Pass trial out of South Lake, our goal being the summit of Chocolate Peak. That trail never gets old and we have shared many adventures in this neck of the woods. I always get this particular feeling, you know, like going home after a long period of being away from all that’s familiar. It’s a certain sort of solace, that’s for sure. It was an unbelievably beautiful day to be out and we felt truly grateful to have been granted the opportunity to experience the Eastern Sierra wilderness in all it’s golden glory. This aptly timed outing just happened to coincide with Autumn’s annual color display and the aspen trees put on quite a show. It was truly impressive! It’s been a few years since we’ve seen fall colors like that, so you can imagine my delight with this lovely little happenstance. I’ve just begun to get my hiking legs back after my injury last spring and I must admit to feeling very awkward in my own skin these days. It’s a little unsettling to find something as natural as walking suddenly feeling so foreign. I’m slowly adapting to my slightly altered gait, but I’m definitely less than graceful on uneven terrain. Despite that, it felt great to be out hiking on this particular day and I was quite pleased with my successful (albeit, clumsy) summit attempt. The last time I stood on a Sierra summit was…geesh, I can’t even remember! I have this little ritual, as many of you may know, of building summit stars in remembrance of a Little Prince nephew who is no longer with us. This very day happened to be the little angel’s birthday, so this little alter will always be an especially meaningful one. As Evan and I took in the view we were both filled with humble appreciation for how precious and fleeting life can be. We were definitely feeling cause to pause and truly enjoy the moment. Chocolate Peak seems to be our go-to recovery hike. The first two times we hiked this peak were after prolonged periods of being adventure-deprived due to the hubby’s injuries. This time, roles were reversed. We enjoyed looking back in the log to find our previous entries, nostalgically reliving that feeling of freedom and delight in finally standing on a peak together. 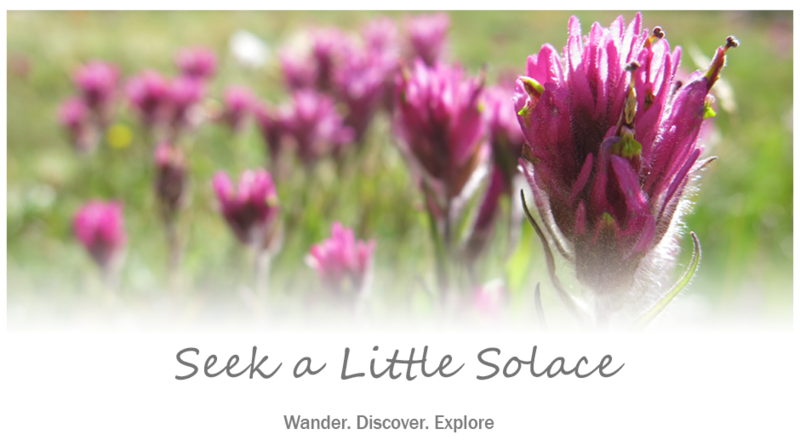 We do so love seeking a little solace and exploring a bit more together! And with much appreciation and gratitude, we added yet another entry to the log. After some leisurely summit time, we headed back down the trail. We thought about making a loop and taking a more scenic route by way of Chocolate Lakes, but decided to keep it simple and go back the way we came. The lakes were glistening in the afternoon light and the landscape was absolutely glowing with all the golden color. We slowed our pace to a saunter , taking it all in and reminiscing about the many adventures we’ve shared together in this area. We have so many memories, so many adventures along this trail, but this one was especially golden. How fortunate we were to chance upon this beautiful display on this particular day. Most certainly those stunning colors are already beginning to fade as the season settles in. That golden moment is gone now, replaced by a brief encounter with the Sunday Sadness as I prepare to head into yet another busy work week. But I remind myself that I can relive it any time I choose. That’s what I love about this little place in cyberspace. I tried to conjure a clever title for this post, but “Golden” was the best I could do. So, I turned to my trusty thesaurus for a few alternatives: blissful, delightful, glorious, happy, joyous, opportune, precious, valuable…yes, I think Golden will do. Life is fleeting. Enjoy your golden moments.